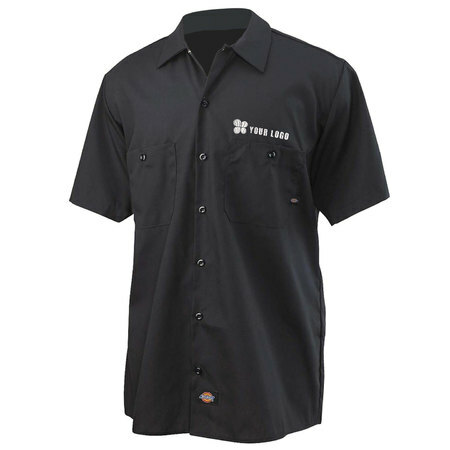 This timeless and hardworking Men’s Short-Sleeve Industrial work shirt from one of the leading performance workwear brands, Dickies, features durable cotton/poly fabric and a relaxed fit. It’s stain, fade and wrinkle-resistant. The lined, two piece collar has permanent stays and the square tail design looks good tucked in or out. Customize with your logo and you've got a professional looking uniform suitable for any industry.